British boxer Kell Brook will be making his comeback to the ring after winning IBF world welterweight title against Shawn Porter last year his return was delayed after a freak attack on him later in the year where he was stabbed on the leg in spain. 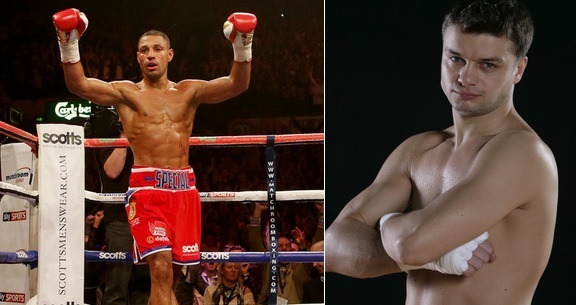 Kell Brook will be defending his IBF Walterweight title against mandatory challenger Jo Jo Dan on 28 March in Sheffield’s Motorpoint Arena. Here are the fight details and what channel will be broadcasting the fight in UK and USA. The fight will be broadcasted on SkySports in the united kingdom and the details will be available closer to the event while showtime channel will broadcast the fight live in United States as a non ppv event where regular subscribers will be able to watch the fight free. Who is Jo Jo Dan ? 33 year old Ionuț Dan Ion, goes by the ring name Jo Jo Dan is the the mandatory challenger. Hails from Romania fights in a southpaw stance and has been fighting in Canada most of his recent fights. Comes with a career record of 34 wins, 2 losses in 36 fights and 18 of those wins came as a result of knockouts. So not much of a puncher and Kell Brook will definitely go into the fight has heavy favorite.